Chelsea winger Willian has reportedly spoken a great deal with Brazil team-mate Philippe Coutinho over the course of the World Cup about sealing a transfer to Barcelona. Coutinho left Liverpool for Barca in January and may now have a big role to play in luring Willian away to the Nou Camp with him in what would be a significant blow to Chelsea. 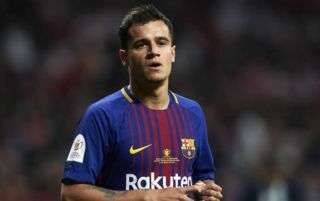 This claim comes from a report in the Sun, who suggest Manchester United are still also chasing the 29-year-old wide-man, but with him seemingly discussing a move to Barcelona with Coutinho, that could give them some edge. Not to mention the fact that, having sold Nemanja Matic to the Red Devils last summer, Chelsea will surely want to avoid losing another big name to their rivals. Will Philippe Coutinho and Willian be Barcelona team-mates soon? Willian has been a key player for Chelsea, but it looks like being a difficult summer for new manager Maurizio Sarri, with other big names also being linked with moves away from Stamford Bridge. The Sun’s report adds that Sarri is facing possible exits of Eden Hazard and Thibaut Courtois, despite the mood changing at the club since the Italian replaced Antonio Conte after last season’s difficult campaign.